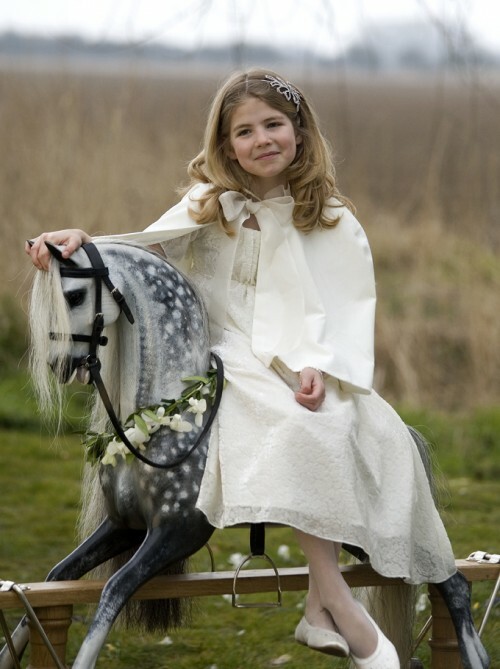 This beautiful ivory velvet cape has an organza ruffle around the neck and an organza tie. A stylish and effective way of keeping your flower girl and bridesmaids warm and happy! Shoes and Hairband available from our accessories page.